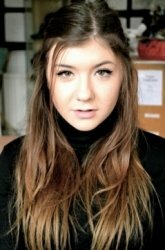 Emily is a classically trained pianist and vocalist currently based in South London. She studied at the Purcell School for Young Musicians for 7 years, and was then awarded various generous scholarships to three of the top music Conservatoires in the UK (The Royal College of Music, Guildhall College of Music, and Trinity Laban College of Music). She studied piano at The Royal College with Professor Nigel Clayton and was then awarded another scholarship to study Jazz piano and voice at Trinity Conservatoire where she decided to carry on her studies. Emily has had endless successes such as; performing a solo recital at Milton Court (Barbican centre) in 2014, chosen to play dinner music in Sri Lanka for Prince Charles, Camilla, and the 54 Heads of Government, and performing at multiple prestigious venues in and around London. These include; Westminster Abbey, St Martin in the Fields, Hampton Court, Royal Festival Hall, and has performed world-wide including Italy, Scotland, and Sri Lanka. Emily also performs in many function bands in London and is also part of a duo 'The Valentines' which spent the summer of 2017 performing in Mallorca in Thomson Gold Hotel. As well as performing, Emily is a keen tutor and has had a lot of experience teaching piano. She has taught a lot of young children between the ages of 6-11 and has great successes with their progress. She taught a few local beginners whilst she was studying and found it very enjoyable and learnt how to approach teaching for different ages and abilities from a young age. She has also taught older clients who are more keen to play piano as a hobby which is equally as rewarding and fulfilling. From a young age, Emily was part of 'Outreach' which is set up for musicians to travel to various primary schools around the UK to share and teach their musical knowledge to inspire children. Emily's approach to musical tuition depends on each individual and how quickly they learn. Emily believes that every student is different and requires their own approach for tutoring for their needs. She usually finds that beginners will need at least 1 hour per week, especially if they are younger as they need more frequent lessons. More experienced students sometimes prefer 2 hours, depending on repertoire and if they are working towards an exam or competition. Emily is keen for new students to work towards ABRSM exams, which she believes helps keep them inspired as they have something to work towards. Emily completed her ABRSM exams with Distinction in piano at the age of 12, and voice at the age of 14, and now is convinced her progress would have not been as successful if she had not had something to work towards. This being said, she appreciates that it is wholly up to the pupil to want to do exams, and is not essential in learning an instrument. Emily finds it very important to spend a lot of the early lessons focusing on technique as that is essential in order to play anything to the best ability and feels that if you learn good technique from the start, you will find it easy to physically perform any music. She can also provide all music theory tutoring which will be integrated into the piano lesson from beginners to more advanced students.